This advice given by Moses to the Israelites serves as a scriptural command to build up family worship. Worshipping God begins in the home and includes all family members. For the Israelites, family life and faith were closely intertwined. In the evenings, parents taught their children the laws of God. They were encouraged to memorize and recite God’s words, and to inquire about their faith and history (Ex 13:14). When Abram departed from Haran and entered Canaan, the first thing he did was to build an “altar to the Lord” (Gen 12:7). This altar was a structure used as a place of sacrifice – particularly for animal sacrifice – and it became the focus of Abram’s family life. It was a place of worship where he and his family offered to God and acknowledged that they as a family needed His direction and leadership. God honored his sacrifice and blessed him in return. A family altar means that family members dedicate time to worship God together at home. Building a family altar is a vital and important practice in a Christian home because it affirms that God is the center of our household. We need His guidance, just as Abram did. A family altar also offers a private setting for family members to worship God, discuss spiritual matters and pray as a family. Establishing a family altar serves as a key building block for building up a strong family in the Lord. A family altar begins at home. Worshipping God together as a family serves as an important conduit for family interaction—a time to sit down together to listen, learn, petition and express thanks. This intimate setting engenders oneness of heart and mind. In turn, family members develop an excellent rapport as they bond as a family. Spending quality time also enhances each family member’s spiritual development and fosters spiritual growth. A family altar gives the whole family an opportunity to be rooted in the word of God, our unerring guide (Prov 6:23). 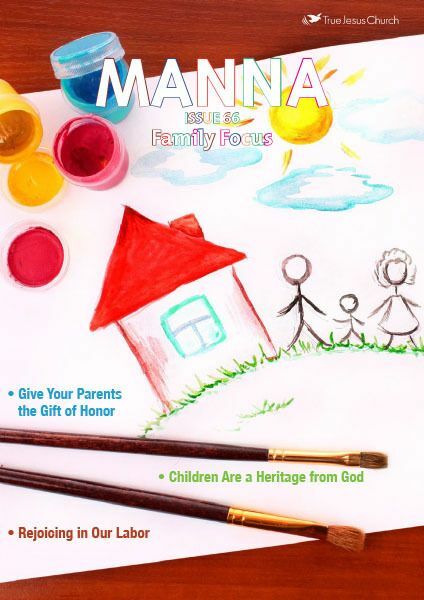 In fact, a Christian home where God and His word are exalted creates an ideal environment for parents to nurture and strengthen their children’s faith. As parents, we should strive to establish consistent family worship. By doing so, our children will imitate and follow our footsteps. Worshipping God in a family setting is a viable channel for God’s word to be passed on from one generation to the next. God instructed the Israelites to do just that. A father was to teach his children to “set their hope in God and not forget the works of God, but keep His commandments” (Ps 78:7). By establishing their own family altar, families can preserve the faith of future generations. A fine example was Timothy, Paul’s companion. His genuine faith dwelt first in his grandmother and mother (2 Tim 1:5). Through godly parental influence, he was able sustain a genuine faith. A family altar is important because it helps to bridge the generation gap at home. Today, family members lack sufficient personal interaction as they struggle through grueling schedules and commitments. Parents may complain that they hardly see their children and likewise, children lament that their parents barely spend any quality time with them! This is becoming very common in the world today. Undeniably, both younger and older family members have their personal needs and problems. Parents are confronted with financial and work pressure, while children deal with their own issues. If such issues remain unaddressed, there may be breakdowns of communication straining the bond within the family. For this reason, maintaining a family altar is essential to creating a strong family bond. Family altar time should be quality time, during which we can share our problems openly as well as remind and reassure each other of God’s providence, presence and involvement in our family. In this way we will focus on worshipping God only, instead of using such time to criticize church members, focus on church problems or expressing grievances during our family worship time. More importantly, as a Christian family, we must set our hearts and home right, evaluate our priorities in life and “set our minds on things above” (Col 3:2). When there is good communication, a healthy family altar will strengthen the bond within the family, bridging the gap between parents and children. Praying together as a family shows its unity in faith. For this reason we must regularly dedicate time from our busy schedules and gather to pray as a family. Such prayers are a prudent way to remind family members of God’s presence and involvement in our lives. As Christians, our house must be a house of prayer where we develop a union with God and man. Praying together plays a significant role during family worship. As we pray together, our whole family builds a closer relationship with God. We can seek God’s guidance, assurance and blessings. In times of crisis, we can bring our family problems to the Lord’s attention by praying in one accord. Doing so shows our personal conviction that we are intimately connected with Him and that He is the force, which binds the family much closer together. Moreover, we should also cultivate the spirit of intercession within our family. Apart from praying for our family, we should also intercede for our fellow brothers and sisters in Christ who may be encountering personal or health problems. Additionally, we can intercede for our church leaders and ministers, as all are in dire need of God’s abidance and guidance. Setting our hearts and minds together in prayer also unites and strengthens the family bond through the Spirit of God. Therefore let us pray earnestly and “without ceasing” (1 Thess 5:17), that the peace of God may guard our hearts and minds through Christ Jesus (Phil 4:6-7). Setting up a family altar involves every family member’s cooperation and participation, which requires personal dedication and sacrifice. Family members should agree on the most suitable time for having family altar. While it may not be easy to arrange a set time, family members must be willing to sacrifice and work together to find the most suitable time. Families should avoid evenings when there are ongoing church services. Ideally, it should be a daily practice, but realistically, families should strive to have family altar at least once a week. Family worship can be less formal than church services, but must be reverent. It should not be too rigid, but can be flexible instead. The service should be more interactive and lively rather than didactic. Despite being less formal, family worship must never lose its purpose or direction. Our program should be designed and tailored to suit the needs of the family members. We may study and discuss certain passages of the Bible, share from hymns or study a character from the Bible. Family members can also utilize this time to deepen their understanding of the ten basic beliefs. For the younger members, memorizing Bible verses, learning the Ten Commandments and sharing favorite verses can be an appealing activity as we encourage them to read, understand and commit the word of God into their hearts. The length of each family service depends on the children’s age group as well as the family members’ level of spirituality. While the length of the service is secondary, the quality of the time spent is essential. It also should not be rushed, for the length of time depends upon the spiritual needs of the family. The family altar must first be rooted in the hearts of the parents. The father, the head of the household, must take the initiative to plan and lead the family service. God has entrusted parents, particularly fathers, with the responsibility to oversee their children’s faith. If as parents, we succeed in establishing a family altar, our children will have deeply rooted reverence, trust and love for God. Therefore, we should teach our children to fulfill their duty to God and obey His voice and commands (Deut 30:2). We should be role models, so that our children can imitate us in faith, love and moral integrity. Parents can seek their children’s participation in leading part or all of the family service, but the father must always remain as the spiritual overseer. Giving children an opportunity to lead at home trains their leadership skills and self-confidence, which in turn prepares them to serve as future leaders in the church. All family members should have the chance to contribute to family worship because each one must be appreciated for their dedication and service to God. There is much to gain in building a family altar, because it is a symbol of God’s existence in our home. Church worship is still of prime importance but we should not undervalue the importance of family worship. Our Christian faith instilled in church must be reinforced at home. Yet why do we often neglect to do so? We always seem to encounter setbacks. A common hindrance is time, or a lack thereof. Today, due to our hectic schedules, it seems impossible to gather the parents and children together. Parents often attend to house chores after work and children are burdened with schoolwork and extracurricular activities. However, we must not allow such drawbacks to be excuses that deter us from building a family altar. Many families can find time to congregate to watch their favorite television programs but are sadly unable to gather for family worship. Such action poses as a serious threat to our faith. If we have a sincere desire to worship God together, we will make the effort to improve upon our time management and discipline, prioritizing our time to build a family altar. Another setback is the undervalued importance of family altar. We may find ourselves thinking that attending Sabbath services and participating in church events are sufficient. There is often reluctance or a lack of enthusiasm, particularly among teenagers who think that family worship would further diminish their leisure time. As parents, we must therefore impress upon our children that family altar time is a priority because it is God’s command (cf. Deut 6:7). We also need to teach and remind them of God’s blessings if our family worship is pleasing to Him. As children come to understand the value of and willingly support family worship, God will surely bless the family with His abiding presence, peace, love, and joy when we worship together. Building a family altar is a much needed spiritual discipline and should be a priority in every family. While it may be challenging to build a family altar, with sincere commitment, ardent prayers, and an unwavering faith, God will abide with us to build a successful family altar. No hindrances are insurmountable if we diligently seek after the Lord with a humble heart and are empowered by the Holy Spirit. Undoubtedly, it will be a milestone in the spiritual advancement of the True Jesus Church, if every family is able to build a strong family altar—an altar that God would patently approve of and bless.